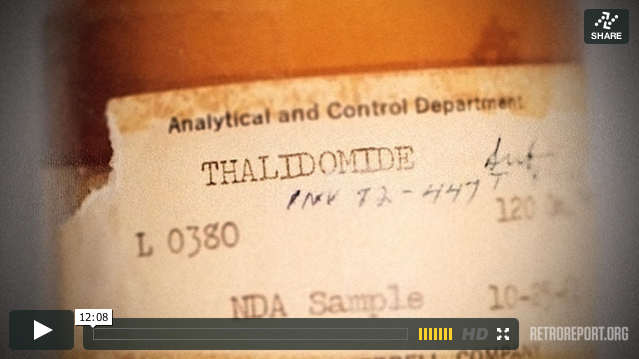 Virtually no legal drug in American history carries as much fear as Thalidomide. A wonder drug, imported from Germany in the late 50s, that would help calm the nerves – even being prescribed for morning sickness among pregnant women. But the drug had not been properly tested, and the side effects were devastating. Thousands of children, across the world, born deformed – arms, legs. The drug was taken off the market and banished. But the Thalidomide story doesn’t end there. It turns out another use has been found, and this villain that caused so much suffering may have a second chance at becoming the wonder drug that was promised. How could this comeback occur? Is it worth the risk?